Last week we all had lunch at Frontera Fresco and I realized two things: the 7th floor at Macy's has some serious good food that I haven't explored and for as much as I enjoy and recommend Rick Bayless operations, I've never been to either flagship (Frontera Grill or Topo). I'll need to work on changing both of those deficits. But I suggested Fresca as a change of place lunch option for high quality food. I had been once before and really enjoyed my torta so I went back to the well with a Cochinita Pibil (Roasted pulled pork with garlic-achiote, black beans, pickled red onions, avocado, served with habanero hot sauce). I was disappointed with pulled pork because the meat was dry and the sandwich didn't come with the black beans and avocado (not sure why and I didn't realize until afterward). The habanero sauce was a highlight and had some real nice heat though it's hard to use since it comes on the side. It's a $7.95 sandwich but you get your money's worth in quantity and quality. 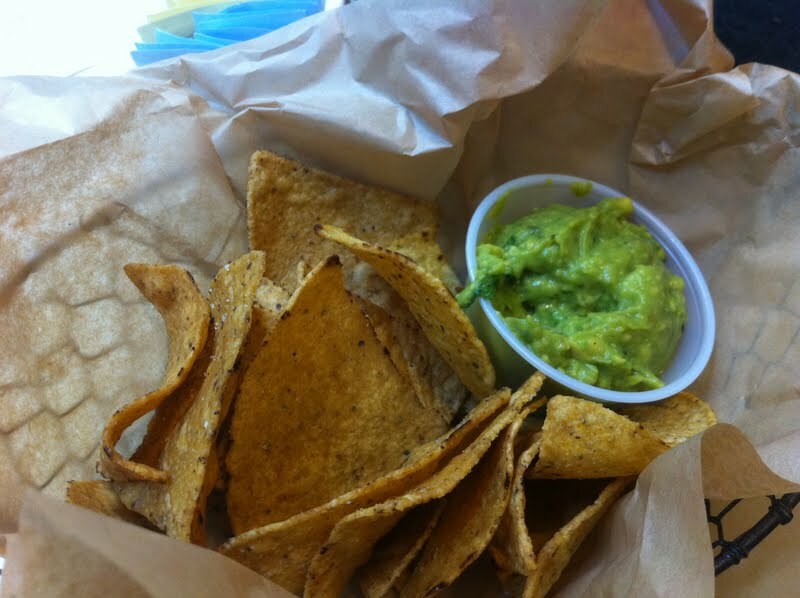 I also ordered a basket of chips and guacamole for the table for good measure. It's hard to mess up that delicious green vegetable (is it a fruit?) 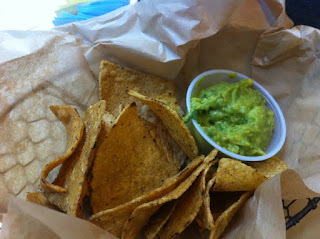 but the nicely salted chips go well the guac and is a nice side (if not a little pricey $4.50). 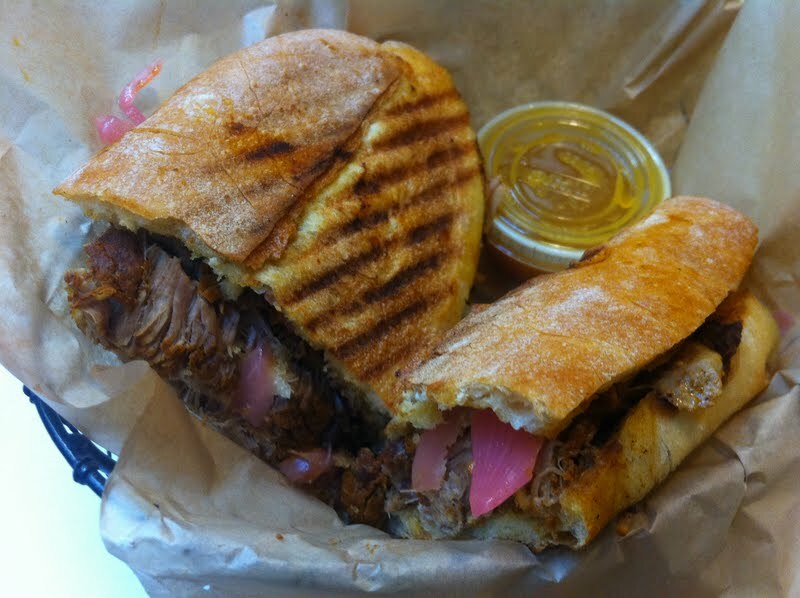 Even if this wasn't my best experience at Fresco I'd still go back and likely will shortly since there are lots of tasty options. I also can't wait to explore more of the 7th Floor at Macy's including Noodles from Takashi, Marc Burger and others. I go to 7 on State for lunch all the time. My fave thing is the chicken chilli at the sandwich/soup bar in the corner. Pretty fantastic. Yet basic. Frontera is good, but it takes too long. I joke that you have to get there at 11:15 if you really want the shrimp tacos.